Pick your favourite colour from the wide range of attractive colours Bentley Mulsanne has to offer. Explore the various colour options and choose the one colour that fits your style and personality. 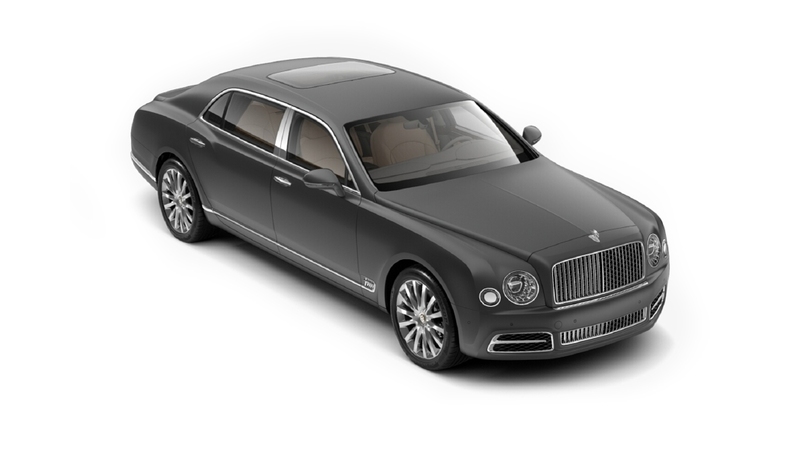 Mulsanne is available in 31 exciting colours - Portofino, Light Onyx, Light Grey Satin, Ice White, Hallmark, Granite, Extreme Silver, Dove Grey, Dark Grey Satin, Damson, Continental Yellow, Claret, Citric, Burnt Oak, Burgundy Royal, Black Velvet, Black Sapphire, Black Crystal, Beluga, Barnato, Azure Purple, Aurora, Arctica, Arabica, Aquamarine, Apple Green, Anthracite Satin, Anthracite, Amber, Alpine Green, Aegean Blue. Sample the lookbook of the entire range and pick the colour of your everyday drive.